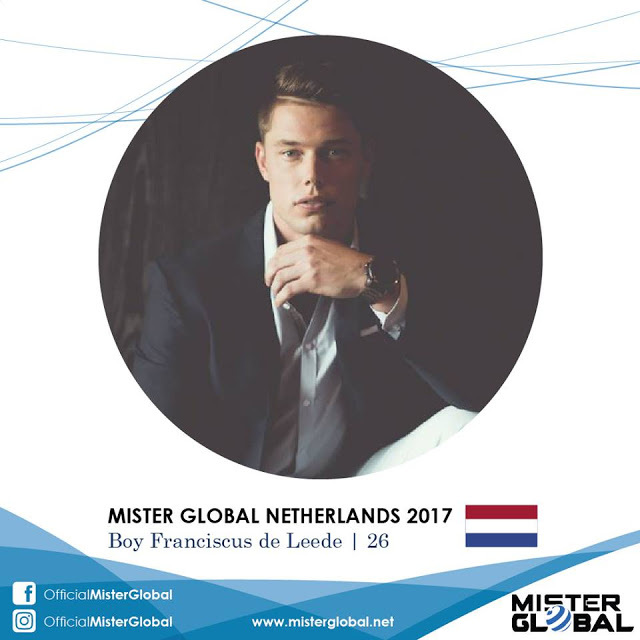 This 26-year-old junior account manager, Boy Franciscus De Leede, from Wateringen will compete in Mister Global 2017 pageant representing the Netherlands. The 4th edition of Mister Global will take place in Chiang Mai, Thailand in May this year. Tomas Martinka from Czech Republic will pass on the title of Mister Global to the new winner.